As a responsible organisation, Sanmar recognises the importance of its obligations beyond employees and stakeholders to embrace society at large. The Group has made substantial investment in its people and the community to make the organisation an invigorating place of work amidst confident neighbours. The Sanmar Group acquired Trust Chemical Industries in 2007, since known as TCI Sanmar Chemicals, at Port Said and has enhanced capacity of caustic soda and chlorine having started production in the newly established VCM and PVC paste. Sanmar is the largest Indian investor in Egypt's chemical business, the largest caustic soda manufacturer in that country and among the world's top PVC producers. In Port Said, the home of TCI Sanmar Chemicals, the neighbourhood community faces several challenges including that of overpopulation. Port Fouad, the sister city to Port Said, is mostly populated by Suez Canal workers. TCI Sanmar took up the responsibility of providing the basic necessities for the economically backward at the Quaboty area in Port Fouad. Supply of rice, oil, sugar, tea, lentil and bean, dry apricots, coconut, raisins, dates and meat per family in the economically weaker section of the population at the Quaboty area is being given free of cost. To identify the poor families needing such help, a team of eight workers from the factory interested in community development and influential in the neighbourhood were selected from various disciplines. This team has worked in close cooperation with the Imam of the Mosque, Mahmoud El Elady, who enjoys a good reputation with the Quaboty people. So far nearly 3000 families have benefited from the food supplies. TCI Sanmar met the cost of eye surgery for a young girl during the year 2011. 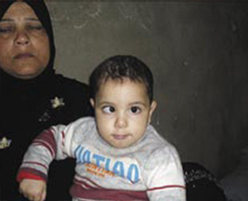 In another instance, an eye operation was performed on a child during March 2012. 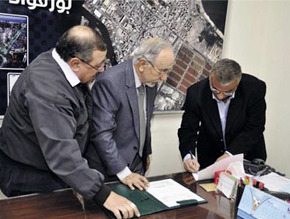 A cooperation protocol for construction of a school for basic education (primary and preparatory) inside the housing project at EI Quaboty area was signed between the Governor of Port Said and TCI Sanmar Chemicals on May 2011. The project to be spearheaded by the Government of Port Said is estimated to cost EGP 5 million upon an area of 50,000m with a capacity of 30 classrooms, a library, playground and facilities for entertainment activities. In response to the Port Fouad city chairman's request, TCI Sanmar donated EGP 50000 to enhance the performance and preservation of the environment. An agreement was signed in February 2012 and a payment of EGP 50000 has been made towards the first phase of this project. The road ahead TCI Sanmar wishes to carry out social improvement initiatives including monthly food supplies, critical medical care, basic education and preservation of the environment on an ongoing basis. Coinciding with the visit of the President of Egypt, His Excellency Dr Mohamed Morsy to Delhi, India, TCI Sanmar Chemicals, Port Said, Egypt, have signed a memorandum of understanding to establish a Plastic Park at Port Said. The land for the Park will be allotted by the Governorate of Port Said. Besides developing the infrastructure facilities in this land, TCI Sanmar will render technical and commercial expertise for all Small and Medium Enterprises (SMEs) who could participate by taking suitable area of land in the Plastic Park to produce downstream products like PVC pipes, profiles, calendars etc., using PVC as the raw material. This Plastic Park will have all infrastructure facilities like developed land, roads, lighting, common waste-treatment facilities etc. The above initiative will provide substantial value addition, create job opportunities, revenue to the government and greater economic development of Port Said in particular. To this effect PS Jayaraman, Chairman, TCI Sanmar Chemicals S.A.E. 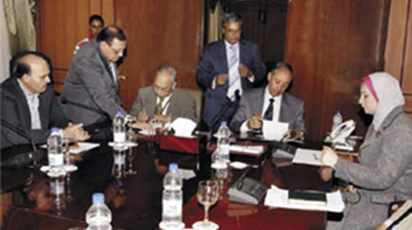 Port Said, Egypt has entered into a memorandum of understanding with Osama Saleh, Minister of Investment, Govt of Egypt on 20 March 2013 at Delhi, India in the presence of Dr Mohamed Morsy, President of the Arab Republic of Egypt. Dr Mohamed Morsy, President of Egypt, addressing the industry captains in New Delhi at India-Egypt Economic Forum during his recent visit to India on 20 March 2013. Sitting (L to R): N Kumar, Past President of CII & Vice Chairman, The Sanmar Group, Hatem Saleh, Minister of Industry and Foreign Trade, Egypt, Anand Sharma, Union Minister for Commerce & Industry, Ms Naina Lal Kidwai, President, FICCI. Vijay Sankar, Deputy Chairman, The Sanmar Group was felicitated at the inaugural reception organised on 12 April 2013 at India House to formally launch the festival. (L to r) Sanjoy Roy - Managing Director, Team Work Production, Ila Gupta, Director, International Festivals, Team Work Production, Mani Suri, wife of Ambassador Navdeep Suri & Vijay Sankar. TCI Sanmar Chemicals S.A.E. 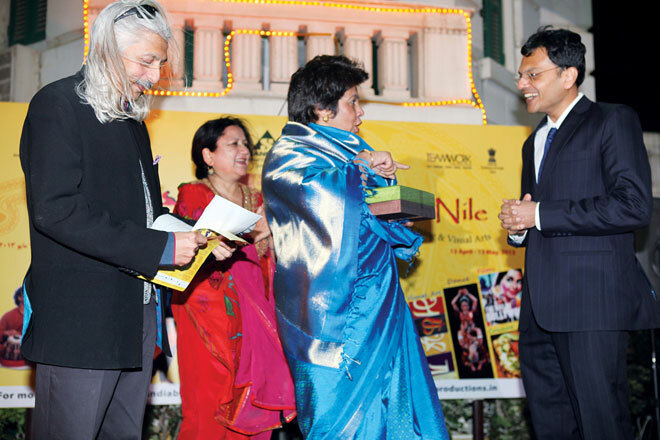 was the lead sponsor of the "India by the Nile" festival presented by The Embassy of India in Egypt. The festival, produced by Teamwork Productions, was a celebration of contemporary and classical music, dance, theatre, visual art, film, food and literature. The festival facilitated a collaborative exchange between literary figures, performers and visual artists from India and Egypt. Collaboration between them was the over-riding theme in some of the shows. 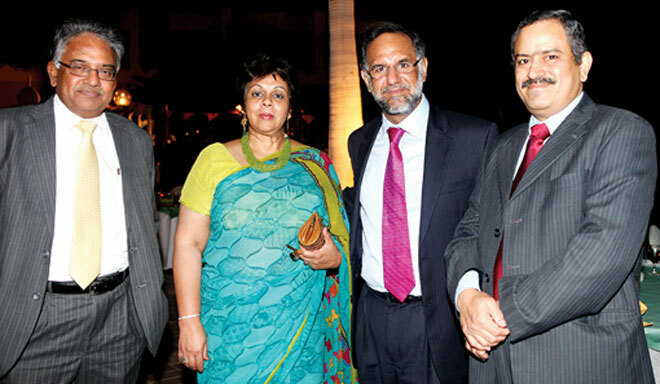 (L to r): PS Jayaraman, Chairman, TCI Sanmar Chemicals, Mani Suri, wife of Ambassador, Navdeep Suri, Ambassador of India in Egypt, KR Kumar, CFO, TCI Sanmar Chemicals, Port Said, Egypt at the food festival. The Festival was a platform to showcase the wealth of India's classical and contemporary cultural heritage and an attempt to provide the Egyptian audiences with the cultural diversity of the country. The four-week long show began on 13 April 2013 with a literature symposium with Indian and Egyptian authors. This was followed by classical and contemporary music, theatre and dance, a food festival and a free master class in Bollywood dance. The shows were presented at a number of venues in Cairo and Alexandria such as the Opera House, Bibliotheca Alexandrina, Sawi Cultural Wheel and Hanager Arts Center. The festival attracted over 7500 visitors from across Egypt, a tremendous amount of press articles, blogs, interviews and coverage on TV and radio channels.